. : The UFO "Las Lomas" Mexico City August 6, 1997. The Author revealed 18 years later. 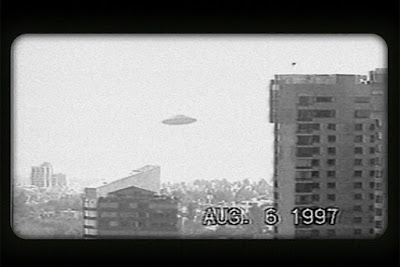 Video frame: " The UFO Mexico City August 6, 1997." The UFO "Las Lomas" Mexico City August 6, 1997 Author revealed after 18 Years. The already famous and commented case of a Video that arrives at the Televisa Offices in VHS format of 5 minutes, this came in an envelope accompanied by a letter with pseudonymous signature dated September 23, 1997, the historical error is that it was presented in Television before conducting a field investigation. The analyzes carried out by both national and foreign experts point out results in favor and against. This was supposedly filmed on August 6, 1997 from the terrace of Paseo de Los Laureles no: 458 in the Colonia de Bosques de las Lomas in Mexico City. In all these years, various programs and specials have been carried out in this case in different media, television, radio, written press and on the internet. The one that brought to light this supposed evidence as we know, was on the "Third Millennium" program of "journalist" Jaime Maussan on September 28, 1997 and from there to world fame, giving this material (some say selling it) to such prestigious media as the UPN ( United Paramount Network) and the Fuji Television Network of Japan. 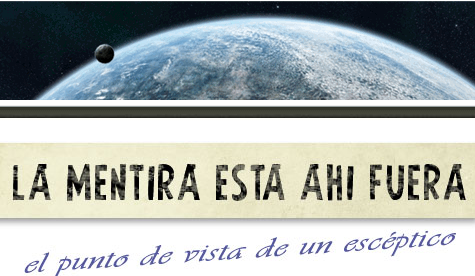 On the internet, the most outstanding research work on this supposed evidence is reflected in the blog of the journalist Martin Fragoso called "Las Patillas de Asimov" which was of great support for this work. n printed work the best known work was carried out by researchers Carlos A. Guzmán Rojas oil wells Lic. 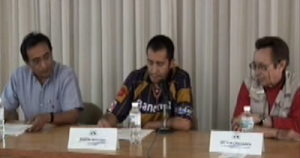 Víctor A. Quezada Gómez, founders of CIFEEEAC (Center for Investigation of Extraterrestrial, Extraordinary and Space Phenomena AC) and CONAIPO (National Research College Paranormal and UFO) respectively. The book is titled: "The UFO of Las Lomas ¿Truth or Lie?" Published in 1998. Material of great help, but that Carlos Guzmán considers an unfinished work. This is the most recent work on a case that aroused great interest in the UFO phenomenon in the second half of the 90s, an interest that motivated a work that began on July 14, 2009 simply pushing me to the curiosity of knowing the truth, a case that at the time I thought was real. In the course I realized situations that are disappointing, but that take away a big blindfold. This is the information that clears the question of who is the author of the video that for almost 18 years has remained anonymous, a video that could only be made by a professional, by a person who had the tool that existed at the time, but that few knew. A character that could preserve that anonymity thanks to the help of the convenient silence of a television journalist. For good and for bad this is an important video that marked a before and after in the history of the UFO phenomenon in the World. 2009, the year of the beginning. The first thing we started to work on was to acquire as much knowledge as possible about the history of the case, taking into account what is needed to move forward and what goal to reach, the objective of course is to know who is the author of this shooting. So I took on the task of documenting myself and planning who I could contact to give me information. To begin, we sent a series of emails to the main investigators who were involved in the case, in the first instance to Yohanan Díaz Vargas of Tercer Milenio (on behalf of Jaime Maussan), in second to Lic. Víctor Quezada and in third to Mr. Pedro Ramírez. The encounter with Víctor Quezada. The first person who answered and visited us was Mr. Víctor Quezada, who, as you already know, made the book El Ovni de Las Lomas, Truth or Lie? in conjunction with Carlos Guzmán. So after digging a bit and making the appointment, I went to their offices that are very close to the Seville metro on line 1, in Mexico City.When he arrived at his offices he received me with a big smile, really a very kind and attentive person, who did not have any problem to start the conversation. After introducing myself, he tells me that he is very pleased that someone is interested to continue the investigation and congratulates me for that, gesture that I appreciated. In the first appointment with Víctor Quezada we talked about 35 minutes, he let me know his views on the video, and the research he did in his time, as well as comments on his book and the bases he thought, gave support to the case , as the analysis that the development and call: "Audio - Lexicon - Emotive" and the filters that were applied to the image by means of several computer programs. (bases that are very well known in past publications and do not comment for the reason that they would be repetitive). For him, this video was a fact that marked a deep interest, interest that I also shared. That day July 20, 2009 he gave me the book he wrote with Carlos Guzmán, one of the first tools I got to continue with the project. In the book of El Ovni de Las Lomas, Truth or Lie? writes Víctor Quezada: We have tried to make a video like El Ovni de Las Lomas by computer and video process, but the results have not been satisfactory neither in the quality, nor in the spectacularity of the video, nor in the repetition of the detected effects with the filters. There were several occasions that I later visited the founder of CONAIPO, who afterwards thanks to this, kindly granted me permission to record in digital format with our team, a copy of the famous video. This copy in VHS that Lic. Quezada had was recorded directly from the tape that arrived at booth 3 of Televisa San Ángel. Along with him I also gave me the video analysis that I made at the time. Having the copy, one of the points that you consider important to have is the original audio of the video, since with this we had reference of the voice of the author, this with the purpose that if at some point we had contact and talk with him, we would have a reference point to compare voices. In short, the founder of "CONAIPO" had already given us enough material at that time to work. Following the initial work of data collection we were able to contact us by phone with Yohanan Díaz Vargas, after several attempts to arrange an appointment, we stayed to see each other at the offices of Maussan Producciones. Yohanan Diaz welcomed us kindly but he looked at me with suspicion, I think with some caution, apparently he saw with a bit of disbelief that someone after so many years had taken an interest in the case, it had already been 12 years since it was given to Meet the now famous video of August 6. When talking with him, he tells me that for Jaime Maussan the case was still real, that the main basis for Jaime to think so were the witnesses and the failed attempts to try to emulate the video, (what he has always said) but he tells me According to the research carried out by Carlos Guzmán, the video was made by a producer that was close to the scene, a producer who had carried out an advertising campaign for Mercedes Benz in 2000, where a UFO is shown. A curious fact was to ask about the famous tape and request a copy of it. Yohanan's response was that the tape that came to Jaime in a sealed envelope had been stolen from his video library. It is very unfortunate that the most direct evidence of the alleged sighting no longer exists. 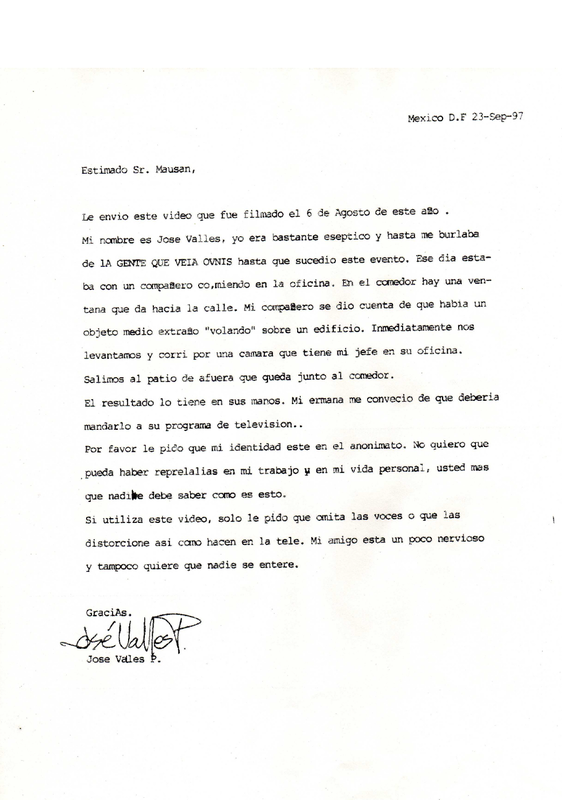 I told Yohanan that the intention of my visit was mainly to have a copy of the letter that accompanied the 5-minute VHS tape signed by a certain José Valles P. (who we have known for a long time by Pedro Ramírez and Jaime Maussan himself, it is a pseudonym.) For me it was a fundamental piece, not because of the content of the story written in it, but because of the signature that it contained of its author, a signature that could be collated or compared by hand. "Ok it 's okay, we can provide it to you, but everything that comes out of your research will be scoop and credits of the Third Millennium shared with you "
This condition seemed to me out of place and I told him that first I would have to work on the case rather than weigh in scoops and credits, the important thing was to know the truth. At that moment, to stop the conversation about the credits and the first results of an investigation that did not yet exist, coincidentally and Jaime Maussan appeared from the room of his offices on the next floor, this room is seen as a balcony that You can see the reception of the place where he was with Yohanan. "Look Jaime, is the person who tells you about the case of the hills", says Yohanan Diaz as a way of presentation to me, Jaime does not say even good afternoon, which started a short conversation commenting on the following. JM: "For me the case is authentic, even recently, about two weeks ago I was able to talk to a new witness who described the fact to me, a humble person, but the truth is a case that I have not investigated for a long time, the cases that do not lead me to anything simply make me lazy "
This was a response that I thought was very serious for the one who calls himself the best investigator of the UFO phenomenon and who spread this case all over the world, since a researcher has the responsibility that if he takes a case, always try to elucidate. JM: "He's a person who did not show that he was the author, he told me he was the one but I never credited his saying, I could find him by his maternal name, but he never showed anything"
When asked the name of this person gave me evasive, only told us that he could find this person who said the author by his maternal surname, I asked what was the surname and change the conversation referring to how good the video was , .. I asked him the name of the company and he told me the same thing as an international researcher, who did not remember the name of it. It is incredible that a person like Jaime Maussan, who has shown in various media a great capacity to collect data from memory, does not remember the two companies that were in Paseo de laureles 458, building where the video was recorded. (Bain & Company and Virtual Advertising) The impression he gave me was of a person who did not want to be clear at all. JM: "Ok, so you can investigate it, and if there's something new, we'll have it on television." Something that does not matter to me in the least. A week later we visited two researchers who at that time worked for Martin Aparicio very close to the Polanco neighborhood, specifically in the Anzures colony. Carlos Clemente and Rubén Villatoro had left Jaime Maussan Producciones for various reasons. I made the appointment with Carlos and he coordinated that Rubén was present, as he had been in the recreation that a team from a prestigious television station in the United States tried to make, to emulate the video of August 6 through a technique called forced perspective. These were creative from the Discovery Channel of the X Testers program. Discovery Channel X Testers Program in México. RV: " Something that surprised, is that when we arrived to carry out the investigation with the equipment of the United States, the people and security bodies of the adjoining buildings did not want us to be there, I do not know why our presence bothered them, no I know why or how some of them found out about the visit that clearly showed discontent. " The dissatisfaction of the people and security bodies I think is only because the area of ​​this part of the city is highly affluent, where there are renowned companies and people of great economic capacity. Rubén and Carlos tell me a lot about the case of August 6, 1997, in essence they told me what was said on other occasions. For them it was very hard to believe that someone would take the time and dedication to make a joke of this kind. In fact, the one who spoke the most was Rubén, we talked at the time about the reasons for his departure from the third millennium. was intolerant for me to accept and spend something so absurd in the program. Gilda enjoyed special treatment "
The talk with Rubén and Carlos did not yield new data. Carlos currently returns as we know to Tercer Milenio, Rubén Villatoro left the subject to dedicate himself to a business of his own. Now the UFO phenomenon sees him from "the stands" and gives his opinions kindly to anyone who needs his experience, but clearly is disappointed in the handling of the issue of the unidentified that has made the headline of Third Millennium. Carlos Clemente helped us a lot to contact other researchers and relevant people, one of them is Mr. Pedro Ramírez, former collaborator of Jaime Maussan and an important part in the research that was carried out in 1997. Pedro and his truth postponed. As we know Pedro Ramírez was very involved in the investigation of the August 6 case, he was the person who was in the first investigation carried out by Tercer Milenio, he has first-hand data that were very relevant at the time. A person who, as he says, knows the author of the video, but for reasons that we do not know, he keeps silence about his identity. This personage commented part of this in the magazine TVyNovelas and declaring several points with Martin Fragoso and Ana Luisa Cid, but to date he still does not reveal his name. Will the former Maussan collaborator have that information or not? Pedro at all times in the 3 phone calls we had with him, gave me his full attention. He told me about situations that are known to everyone, but he also gave me other information that is interesting.Below we present only the most important of the talks we held via telephone with Pedro Ramírez, 2 in 2009 and 1 in 2011, trying to be as short as possible and only exposing the most relevant so that it is not repetitive as which has already been commented to other researchers. LM:Pedro, thanks for talking with us, what do you tell us about the UFO of the hills? PR:Look, I know the person who did it, what I do not want to reveal is the name because I'm reserving it, tomorrow you can present an investigation when it is due, something already complete and present everything that I have. What I can tell you that the video is totally false and that it was made with animation techniques, rather than the public, would be in a conference that we are gathered researchers who want to address the case again. LM:Does not this person want to be known even though 12 years have passed? PR:I know that this person does not care much, but I leave the possibility open and if possible, he would accompany me to the presentation of the case, this in order to ask him the questions they wanted, but what I can tell you that technology existed and this company of Virtual Advertising had such technology. LM: And what did Jaime Maussan say when he realized that the video was fake? PR: The argument that Jaime has always said is that this person never showed that he had made the video, what happened is that Jaime, seeing that the video was false, simply did not want to continue, could not prove this person simply because Maussan I never let him show it. At the time this person was willing to tell the whole story of what had happened and why it had been. As it was a joke, this person apologizes to Jaime ... and Maussan answers him; "Is that you do not know in the row that you put me, ... I already said, ... I already did, ... Now that I'm going to do "... etc ... At that moment he asks me and him to shut up and he continues on his own. LM: What opinion do you have about the research carried out by Carlos Guzmán and Víctor Quezada, which later became the book "El Ovni de Las lomas, Truth or Lie?" PR:Look, they have a lot of certainty in several things, but what Carlos and Víctor did not count is that they did not have the security of who the author was. I have reserved it a lot, although many people know who it is. The advantage that I have is that if I talk to him, I have an interview recorded by telephone between approximately 40 minutes and 1 hour where there is no doubt who is the author. LM:And this interview, do not you intend to make it known? LM: Do you think that if you present all the evidence that the case is false, don't you think that people would be interested in history again? PR : It may be, but I think that if you need an important forum to tell people that we were vulnerable in that time and how much we still are. There are things that are presented on television and I am very sad that they keep passing strips of balloons and say that they are "unidentified anomalous biological entities." Years ago, my friend Ulises Trujillo recorded something like that for the first time, he gave off small objects and those years we did not imagine that it could be, today we know perfectly that it is a garland of balloons, nowadays they present themselves as "EBANIS." It hurts that we follow someone's game and that it hurts that there is no stopping it. Today we are fortunate because thanks to the information tools that we currently have, such as the internet, people realize that the things we saw, we gave wrong explanations. Today fewer people fall for the mistakes we made. LM :How do you know you talked to the right person? LM: ... to demarcate the company, ..
Pedro gives us a new reference that if it were true, the signature of the author of the document he claims to have, would be the proof of defining the authorship of the video and would also be very convincing the falsity of the same if said author, is or had been employed by the Virtual Advertising company. It is truly worrisome to know, if it were true, that a journalist tries to fabricate evidence in favor of a case, requesting the author in a letter a total demarcation of the company that, indirectly and involuntarily, is involved in the video of Bosques de las Lomas, since the author was employed by this company. Due to situations of destiny, the author misunderstands the situation about the elaboration of this document and does this, demarcating only the company and giving to understand that he made the video with his own resources. What Jaime was looking for according to Pedro was the total demarcation of the author and of Virtual Advertising so that other researchers discarded that the questioned video came from that place. It is also very serious that Jaime Maussan, asked for silence to his collaborator at that time Pedro and the author of the video, onlyto make an exploitation of the images in different media, selling it as a genuine material, all this according to the version of former collaborator of Tercer Milenio. Until today, November 5, 2015, Pedro Ramírez has not presented any of the tests he says. The companies involved at the time of Paseo de los laureles 458. Paseo de Los Laureles 458, Lomas del Chamizal. As we know, two companies were targeted by investigators which could be the author of so striking film, these were on the 4th floor of Paseo de los Laureles 458 in Bosques de las Lomas, initially Bain & Company caught attention of Jaime Maussan for having the perfect viewing angle that the recording showed, since the company, unlike Virtual Advertising at the time, had a terrace that had a perfect view of the Royal Reforma buildings, buildings that the supposed UFO I was flying over that foggy Wednesday afternoon. In order to not leave any data or said without review, I was able to contact after several attempts, with the person who at that time was Administrative Manager of Bain & Company in 1997 and who received at the time the owner of Third Millennium, Lic. Ana Alba Gómez, with whom we had some phone calls and an appointment at the Interlomas Vips on September 23, 2009. This is the most relevant thing that the former Administrative Manager of Bain & Company told us, we only expose the most important points to be shorter, since this company confirmed, it has nothing to do with the August 6 video. LM: Hello Ana, first of all thank you for talking with us. What do you have to tell us about this video that supposedly was recorded in the Paseo de los Laureles area? AA: Hello Luis, I really do not have much to tell you, I'll tell you how all the events were. We did not know absolutely everything about that famous video that was taken, if indeed, apparently it was taken from the terrace of our office. LM: This how do you know? AA: Because after we sought Jaime Maussan, went to the office wanting to interview us, teaching us part of the video as what you sent us, wanted to go to the terrace and see where the video was taken and who took it . I received the people who were announced below in the reception of the building, when he goes up alone he is given access to the reception of the office, when I go out to receive him he presents himself, he locates him bythe question of television, UFOs and all that. Outside on the side of the elevators was a crowd of people with cameras and a whole team, we did not let them pass them, only Maussan to talk to me. When I was interested in going to the office and part of the terrace, I told my general manager, who happened to be in the office, he was exposed to the case and he personally went to meet Mr. Maussan and said : "Excuse me, but we can not give access to you or your people, you are television people, we have nothing to do with what you want to investigate, we have no knowledge about it, much less who has taken that video there and if we have letters signed with our clients of the confidentiality that we must maintain for all the work entrusted to us. "Mr. Maussan insists, but my director tells him that he does not have time to continue attending him, nor can he give him more information, he tells him that people here do not know anything. They were never allowed access to the facilities. And we started making inquiries ourselves internally, to see who could have taken that video, we thought if some of the consultants of the company but we did not have results, and none of those consultants are currently in the company. LM: Did the consultants use a video camera as a work tool? AA: Not really, nobody had anything to do with a video camera ... Now I remember that on that date we were provisionally on the 3rd floor of this building, we arrived at this third floor in May 1997, while we adapted the offices of the Penthouse, that is, of the 4th floor where that video was supposedly taken. So if it was not the consultants, we thought it could have been the architects or someone from the people who were preparing the final offices on the fourth floor where the video was taken, where the terrace is, they worked to be able to occupy us. It was until September 17, 1997 when the offices of the fourth floor opened, in that month we started working in the Penthouse. LM: The video was supposedly filmed on August 6, 1997. Then you tell me that you were not working yet in the month of August at the Penthouse? AA: That's right , we were still working on the 4th floor of the terrace were working an army of people, architects, masons, of laying carpets, of which placed the furniture, and asked architects they were our contacts two or three of them and told us that they knew nothing, masons do not think I take a video camera, maybe the furniture but never knew who had taken the video, at the time they were asked and they told us that they had nothing to do with it. Ana Alba also tells us about Virtual Advertising, tells us what we already know, which is a company that makes advertising animations for football matches, I get at least 1 year before them Paseo de los Laureles 458, occupying half of the 4th floor, the other half was occupied by Bain & Company, as Ana Alba Gómez tells us, the month of September of 1997. Ana Alba also tells us that it was easy to pass for anyone to that half of the 4th floor and consequently the terrace, in the month of August, since there were no doors or anything that would prevent the passage, when the people who worked on the construction site Penthouse finished his daily tasks . He also gave us the data of the architect in charge of the adaptations of the 4th floor, Alberto Laris, who after that kindly inquired for us in a deep way among his staff, to see who knew something about said video, he told us that nobody knew, nor saw nothing on August 6, 1997, despite the fact that more or less 20 to 25 people worked in the Penthouse to adapt the offices of Bain & Company. Currently, Bain & Company offices are no longer located at Paseo de los Laureles 458. As we can see, thanks to the availability of Ana Alba Gómez, in the company of "Bain & Company" is not found the author of the famous video of Bosques de las Lomas. Maybe for many of us this situation has always been obvious, we simply check the versions that were given at the time, to confirm or discard all the possibilities and that there are no doubts about the most commented theories. Virtual Advertising, the company that was kept secret. As I mentioned earlier, we did not mention some of the things obtained in this work because they would be repetitive of projects carried out by other researchers, but it is worth raising certain points that are important to remember. The researcher Ana Luisa Cid talked a few years ago with Pedro Ramírez about the author of such a striking video, which Pedro explained where that person worked and what was the convenient intention of Jaime Maussan to keep the company of Virtual Advertising out of the view of any researcher. As we already mentioned, something happened to us that corroborates this situation, when we asked Jaime in 2009 what was the name of the company whereHe found the person who at the time said he was the author, told us he did not remember. The same thing happened to another researcher of foreign origin when he asked the same question, as was the case of Philip J. Klass in 1998 at the Mutual Mufon Network conference. When Klass told Maussan his intention to contact the executives of the company in question in order to find the author, Jaime told him that he did not remember it, but when he arrived in Mexico he would send him this information, a fact that Philip J. never received. Klass, despite reminding him days later in writing to the owner of Tercer Milenio on 2 occasions. Some time later, Jaime Maussan now did not remember that Klass had asked him that, when the researcher Martin Fragoso in 2002 reminded Jaime of theKlass's request, ... a convenient chain of amnesia? We have known for a long time the reason why the secrecy of this advertising company was maintained for many years ... it is obvious, but let's go a little bit about this company to know its origins and obtain details that I consider important. Publicidad Virtual is a subsidiary of a company called Princeton Video Image, Inc., known in the middle as "PVI". 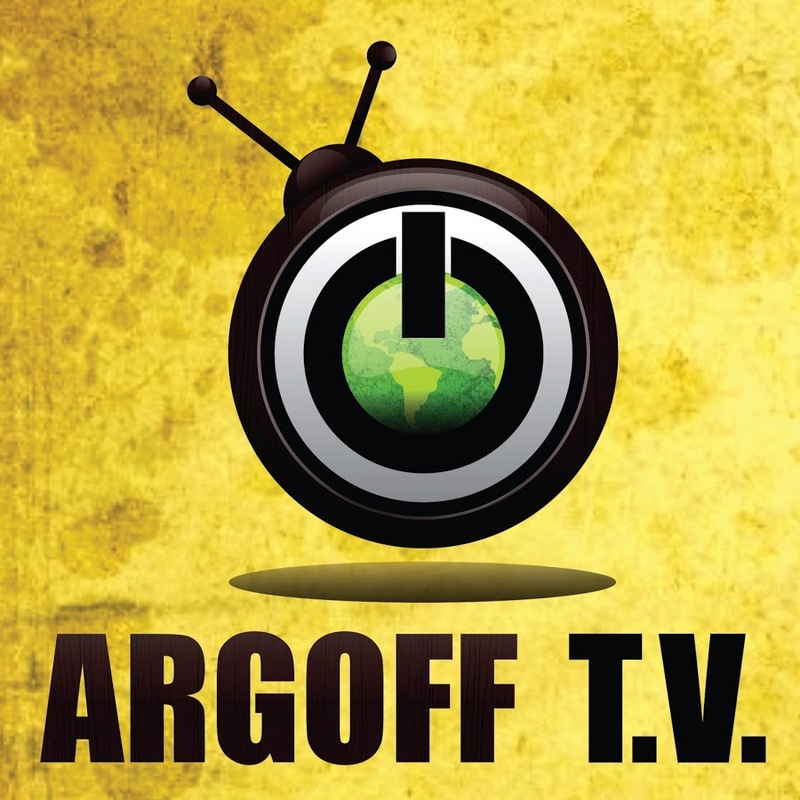 Its founder, Brown Williams, undertook this project in 1989 with the help of engineers and scientists, achieving the objective of electronically modifying video signals that were broadcast live on television, developing all the necessary hardware and software to be able to insert advertising logos into the image. of video and keep watching what is transmitted without interruptions. This is how Lvis ® "Live Video Insertion System" was born. The result of this great team is that the viewer can see a virtual object in the scene that was previously designed and that apparently is there, in the television program that is being watched at that moment. The license of Lvis® for Latin America was acquired by Virtual Advertising in 1993 and in 1995 the first Lvis® manufactured by PVI was delivered to this company in Bosques de las Lomas. Thus, the first animated virtual insert on Mexican television was broadcast in February 1996.
even before making the approach to the "UFO", said object seems not to be in the scene and when zooming in at a certain moment, the object appears from nothing. In video 2 the movement of zoom in the "UFO" is completely out of adjustment in its size before the other elements of the film. This immediately reveals the virtual trick and the video loses all naturalness, while in the video of August 6 in its initial part, it is the most complicated to achieve, since the tracking is done in the zoom in of the first seconds, it is practically perfect and natural, the virtual object does not lose its proportion, size, or place, with the other elementsthat are in the scene. This could only be achieved at that time by the technical team created and patented by Princeton Video Image, Inc. The professional work of José Fidel Kuri was worthy of suspicion in the decade of the 90s by the well-known comment of Héctor Chavarría on the Nino Canún program. "And you, who thinks" on January 16, 1998, which refers to the creation of the video of El Ovni de Las Lomas to SIGGRAPH of the UNAM, who are creators in video images. Kuri was a partner of SIGGRAPH and Director of Computer Graphics. It should be noted that Kuri was denied at the time to be the author of the video of "The Ufo Las Lomas"
This commercial was created in 2000 for Mercedes Benz, the creator of this promotional is the creative Raúl Luque, who worked for the production company Simón Bross. This video was worthy of suspicion by the researcher Carlos Guzmán for having a concept very similar to that of the Las Lomas Ovni. It was also suspected of this producer because it was located very close to the place where the video in question was recorded. When we talked with someone from that producer, they completely separated themselves from any video with that theme, which was made in Paseo de los Laureles. Raúl Luque nowadays no longer works in said production company and resides in Spain. Video 3: The UFO "Las Lomas" Mexico City August 6, 1997. With the above mentioned does not mean that Virtual Advertising as part of their business work, I create this video deliberately, nor whether or not you have knowledge of this. So far there is no evidence linking him directly, but yes, we have the security that is linked indirectly.Therefore, the most obvious thing has to be done, and this is simply to touch the doors of that 4th floor of Paseo de los Laureles. Place of the scenario for the virtual insertion of the UFO in our days. When a person keeps a secret, it is due to the fact that by revealing it, it can bring consequences of various types, it can lose sympathy, support, even legal problems, it can lose credibility, it can exclude you socially, even fall into sentence. We have three characters that can fall into one or several of these points if their secrets about the case of August 6 were revealed, Jaime Maussan, Pedro Ramírez, and the author of the video in question. None of these three characters so far, have not shown the slightest intention to unveil this case that could be resolved in the first months of having been shown to the public. We can capture the possible panorama of what would be the situation of each of them. Jaime Maussan could lose credibility (even more) if the versions of Pedro Ramírez were confirmed, which imply an intention to commercialize an apocryphal video, hiding information and creating false indications. On the other hand, the owner of Tercer Milenio has demonstrated in all these years that it is very difficult for him to retract on the cases he investigates, defending his reputation and his "investigations" to the degree of foolishness, even though his theories do not have the more minimum sustenance. Pedro Ramírez could be keeping proof of his version of eventsperhaps, for fear of reprisals by the head of Third Millennium. Pedro, working with Jaime, could have signed a secrecy pact, such as a confidentiality contract when he worked for Jaime Maussan. If he did not comply with this pact, it could lead to legal problems. The video author may not have been known at the time to not have problems with the company where he worked if he had occupied for that work, resources of the company without the consent of the directors, that can also lead to legal problems. Also the reason why it has not been shown until today is because it continues to work in the same field where the workforce to which it belongs is very small and consequently everyone would know the fact. It would not be a good recommendation if it were known that I occupy resources of a company without their consent. These three points for your server would be the closest to reality, if not, then ... Why so much mystery? If there were no such mysterious attitudes, consequently there would be no secrets in this story, we would all know the truth for a long time. 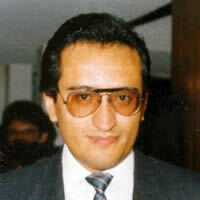 The author of the video of: The UFO "Las Lomas" Mexico City August 6, 1997. Ignacio Ocampo Valles, was a creative employee of Virtual Advertising in the decade of the 90s and until the beginning of the new millennium, he is the author of the famous video that did not have a name or surname. But you wonder, .. How did we find him? How do we verify its authorship? The only source that was missing to investigate is this advertising company, Pedro Ramírez and Jaime Maussan were not open to tell us more about the author, so we gave ourselves the task of contacting someone from this company who wanted to give us some information. This part was very difficult, since it is not easy to convince someone from that company to talk to a stranger, much less give us some information of their file to know the name of the author. On August 19, 2009 was the first call we made to Virtual Advertising, a lady called Elena answered us, she told us that it was strange the matter for which I communicated but asked for my phone number and some information, such as email. I remain if I knew someone who could help me, they would contact me the next day. Having no answer, we communicate again on August 28, Miss Elena told us that she was asking but they did not know anything, I told her about my interest in having a conversation with someone who could help me. For security reasons, I sent him more information about me so that they would realize the seriousness of our investigation. After about 8 more phone calls, unfortunately we did not have results with Miss Elena. Later we made a call requesting directly with Roberto Sonabend, director of that company, we had no response after approximately 4 or 5 calls, but in the last call we caught the attention of another young lady who was interested in helping us, we will call her Paula, which Once again we carried out the same operation, we sent all our contact information, they even asked me for a copy of some personal identification. Ms. Paula was asking among the staff if they knew anything about the matter and had no response. The only thing they could give me is the name, Ignacio Ocampo Valles, unfortunately they did not give me a date to leave the company or any other detail. I hope it serves you something. When I called Paula to thank her, I also asked her if she was the only person in her file with that last name at that time, she mentioned that they looked very well and she was the only person with that last name, and she was even surprised that it was the mother's last name, as we let him know. Now we had a name obtained directly from the company of Virtual Advertising, we already had a significant breakthrough after a few months of investigating and interviewing different people. The next thing was to occupy the tool with which we have these days, the internet, but specifically the "venditas" social networks. We were very lucky not to find in this way of social interaction, homonyms with the full name, we could find several people with the name of Ignacio Ocampo, but only one perfectly agreed with the name including the surname Valles, and even physically a person was appreciated between 38 and 47 years old approximately. Before having contact with him, we are dedicated to investigate the only 4 people he has as a contact in his social profile, the only one who could call our attention and who is involved in the profession that Pedro Ramírez has told us all. This person is called Lionel Fahey, coincidentally, we found in another social network called "Linkedln" only a person with the same name., Do you remember PVI?, .. This person named Lionel Fahey in his profile of said social network, he points out that he works at PVI as a producer in animation. Also coincidentally in the Ignacio Ocampo Valles social network, there is a short conversation between the two of them, which is as follows. Lionel Fahey : Did you have the opportunity to speak with Mika? Ignacio Ocampo Valles : Yes, she approved the project. Now we had several data that could hardly be coincidences. We now had a prospectus of the authorship of the video that had talks about a project, with a person who works in the company that has granted patent rights to Virtual Advertising. With this for me it was enough and I realized that we had found the right person. The conversations with the author. The first communication with Ignacio Ocampo Valles was on January 11, 2010, his last response was on December 27 of the same year. Actually Ignacio from the beginning kept an attitude of mystery, an attitude that was very similar to that of Jaime Maussan and Pedro Ramírez, the type of responses we received over the course of the days was increasingly sharp, but did not fall to the degree to be mean. It should be noted that the accreditation of the authorship of said video would be verified, with the simple fact that we could get Ignacio to sign us exactly the same as the letter that accompanied the famous VHS tape of 5 minutes and that arrived at the TV booth 3 Saint Angel. As the days went by, my opinion about the case changed, to the degree of being convinced that the video evidence was false. In the next conversation try to show me a believer about the August 6th video to get Ignacio's trust. In this part we managed to acquire through Ignacio Ocampo Valles, the proof that he is the author of the video of "El ovni de las Lomas." ... Then we put together a summary of the communication with the author, using as half the chat of the popular social network known as Facebook. Your server apart from being a Micro-entrepreneur is related to the investigation of the UFO phenomenon, I think this will be a bit strange but let me comment and be very clear, we are investigating a case that happened in Mexico City on August 6, 1997 when supposedly images were recorded of an object that was captured in the area of ​​Lomas del Chamizal, this is known as "The Ovni of Las Lomas" and turned out to be an anonymous video. In our investigation we were able to find out that the author of this video agrees with his name and my question would be the following one: If you would be the author of this video? And if so, we can talk with you about it. We have 1 year dedicating ourselves to this specific case, if it is you, I would infinitely appreciate it if you would like to talk with your server. I remain at your service waiting for your kind response. Many years ago, a series of incidents happened that changed the course of my life. I decided to leave everything behind and look for answers. I undertook an adventure outside my beloved Mexico driven by the thirst for knowledge. I wish you luck, and I hope your research will give you more answers than I can share. I thank you very much for answering my message, what I can tell you as I also feel an infinite thirst for knowledge about these matters that are very important. I have many doubts about this case which will devote the time that is necessary, so have to spend years to have the answers. But some more things are missing, to know if this evidence is complete or we only know a part, as well as to clarify the disinformation that has been given in all these years and the matter of its anonymity until today. Let me tell you that whatever your response, your server will always be willing to talk with you and be ready for the truth, hopefully you can give me a phone call or some evidence of what is commented here. Although the years pass and I say it with sincerity, I ask you not to forget your server. Greetings, success and I wait patiently for your response. How about Ignacio, I've been a little absent in the last 3 months, yesterday was 13 years of this great evidence of the Ovni de las Lomas. I know you told me that you can not talk much about this but I would like to ask you a very important question, is there a final part of the video that we do not know about? Your history and your situation is very impressive and important, since you left Mexico and now you are in another country I think many things have happened to you in all these years and it would be very important to know the whole truth. There are many doubts .. How to know who was with you on the day of filming and how the video came to televise as well as in what company you were working ... in short are things that I would like you to tell me to know if I am on track ... do you understand? Thank you very much for reading my messages. If there is more of the video ... The coordinates in google earth. How about Ignacio, Good afternoon, the coordinates that you sent me from the first mail send me to a place that shows a figure in the very strange terrain that I am already investigating, a perfect picture that has some frets and three lines inside on the outside that I can not interpret, but I am very intrigued to know, .. What is your relationship with the UFO recorded by you on August 6, 1997? I need to ask you this, the figure I know but ... what do you want me to look for in this figure? What should I do with it and what is it about? I must also tell you and I am obliged without bothering to bother you that I need to ask you for a proof that I am on the right path that you are the author of this video, I hope you understand me please, could you sign me as you did in the letter Did you send Maussan along with the video and send this signature to my email? I know you understand my request, I need to be sure of you to continue in this line of investigation. Maybe you'll be late to answer me, if so, let me wish you a merry Christmas and a successful new year full of health and well-being for you and all of you. After we received the signature, we confess to Ignacio how it was that we found him. We explained that we got his name through Virtual Advertising and that we knew he worked in the creative area of ​​this company, where they perform virtual animations. The signature of the Author . When the VHS videotape was received on September 26, 1997 accompanied by a typed letter and with intentional misspellings, the pseudonymous signature was not shown to the public for obvious intentions, apparently the owner of the third millennium kept it for if the author presented himself openly, he would have to sign the same to verify his authorship, this is normal when you do an investigation, if that signature had been made known, maybe we would have several opportunists who would try to imitate the signature and present themselves as Authors . The signs that are saved arejustifiable as long as you have the true intention of solving the case being investigated, but if you do not have that intention, the stored evidence loses value, to keep forever this signature would be as if it did not exist. In order for the signature of the letter to come to light, the presumed Author must appear and sign the same without having seen the document. The letter of the author with the signature Pseudonymous. Below we present the comparison of both firms, the first of 1997, the second obtained in the month of December 2010 as a result of this investigation. Signature provided by Ignacio Ocampo Valles on December 27, 2010. As they realized this was the procedure we followed to be completely sure that we were talking to the right person. What happened in all this time that the self-appointed best means of investigating the UFO phenomenon did not offer any conclusions about this case? It was 18 years that Jaime Maussan had all the elements to be able to solve the enigma of said video. The testimonies of Pedro Ramírez here presented indicate a serious intention to keep the author of the alleged evidence anonymous, ... What does all this tell us? What alternate story was developed from the video on August 6? ... Will this alternate history be known some day in its entirety? , ... for us it is clear that there are only the following two possibilities: "Or it is a deliberate concealment to feed personal interests, or simplyshows incompetence as researchers of this phenomenon. " With what do you stay?, ... I, I'll take the first one. This could make us think and reflect if in reality there is true ufological research in Mexico or simply is a whole lucrative machinery, no matter what is presented, no matter how you have to prove the cases, how to place them have to sustain the investigations with "supposed witnesses" and "supposed experts" in different branches. An independent investigation does not prove the truth of the cases, if not the investigations in which different institutions or organizations are involved, as other research topics are studied, so that we will only be sure of arriving as close to the truth. Little by little in the course of the years the arguments of the most relevant cases that have taken Third Millennium have come down and not because there is a persecution towards its owner, everything simply falls on its own weight, the controversial will always be questionable. We can comment on the most memorable and just to mention some: Like the extraterrestrial autopsy created by the film producer Ray Santilli, or the painful case of Jonathan Reed, as well as the lights captured by the Mexican Air force being exposed as simple oil wells thanks to the investigation of Captain Alejandro Franz Navarrete. And in the last few days the coarse case of the research called "Be Witness" that turned out to be a mummy of the Mesa Verde museum, a truth perfectly documented and 100% tested. Despite this, the owner of Tercer Milenio still defends the theory of his "non-human being" with despair to date, but this image does not present definitive elements to be able to give a forensic evaluation, since it is only a very questionable slide and not a present body. In the face of history, do you believe that we are facing real work of "Investigative Journalism"? ... or simply Third Millennium should be considered as a simple television production house for entertainment? Do you think we are facing real "Investigative Journalism"? ... or simply Third Millennium should be considered as a simple television production house for entertainment? Do you think we are facing real "Investigative Journalism"? ... or simply Third Millennium should be considered as a simple television production house for entertainment? Now we know who is the author of the video known as the UFO of Las Lomas, a character who remained anonymous convenient for little more than 18 years. There is no doubt now that Ignacio Ocampo Valles is his architect and that he was a creative employee of the Virtual Advertising company ..... And what is more likely? What would a graphic animator engrave a real unidentified flying object? Or that simply with his resources and talent, he could make one of the most controversial videos in the history of the UFO phenomenon? ... The obvious will always be what tilts the balance to the simplest theory. And also to Gaby and Paula, who collaborated in a very important way. "Special collaboration in translation:﻿ Alejandro Franz Navarrete." Any questions or comments about this work, please write a message to the following email luís.miguelbg@hotmail.com or write in the comments section of this blog. DR (c) (p) 2015 Lamat Realidad Alterna. Texts by Daniel Muñoz, Bruce Maccabee and CNI News . Factor 302.4, the Blog of Alejandro Agostinelli. "Another crashed dish makes Jaime Maussan green"
The UFO Las Lomas. ¿Truth or Lie? Carlos Guzmán, Víctor Quezada.